Meet one of our fabulous Blush stylists, Shannon! Perfect Skin on your Wedding Day! 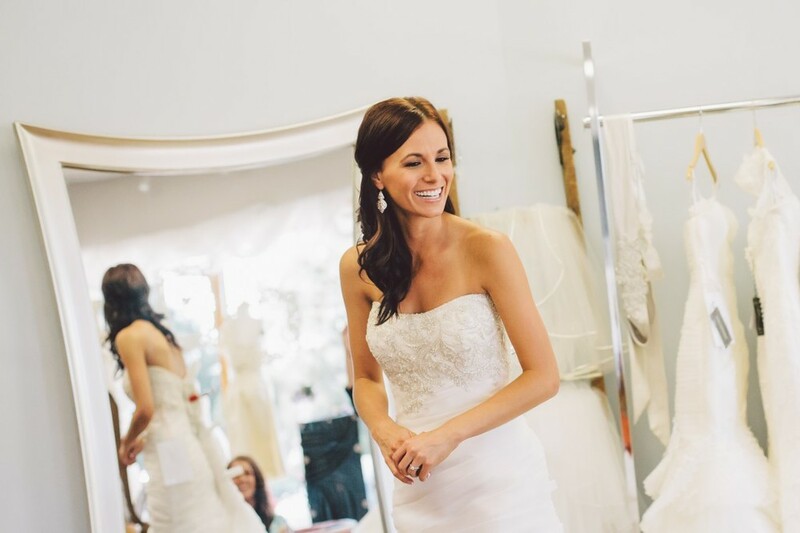 Recently, we had a chance to interview one of our favorite local Make Up Artists, Casey Donner, about some quick tips when considering your wedding day look! Timeline: I recommend booking at least a year out for your wedding day and doing a trial guarantees you that you will get the look you want! Remember that photographer and pictures you will be keeping forever are like a time capsule so makeup and hair should be a first priority! As both an Aesthetician and makeup artist I feel the skin is just as important as the makeup! I recommend starting a facial routine at least 6 months if not a year before the wedding! Your aesthetician will determine a routine and products that are best for your type of skin. Trend: Bridal makeup has taken a turn from the same old same old in the last 5 years, oh ya Pinterest came around! That makes sense! Remember ladies that if your an au natural girl don’t come in asking for a Kim K makeover, you won’t be pleased! Pick a highlight, eyes or lips…lashes of course…you will love it! These are some of my favorite bridal trends this year! Traditional vs. Airbrush: As a makeup artist I enjoy the artistry aspect of traditional makeup artistry, it allows me to create a custom look based upon skin type and look desired! On the other hand, airbrush is so durable and can be layered to provide more coverage this is a must for hot summer days! Summer brides this is the best option for you! 5. Styling 163 new Blush Brides! We have had the opportunity to meet so many new cool, smart, stylish brides this year. Our previous brides are bringing us their friends and family resulting in a 60% increase of brides over last year! When we randomly got a crystal award in the mail, we were honored but we weren’t quite sure what being a “Silver Store” with Casabanca meant. When we were talking with Casablanca at market they were AMAZED that we were selling that so many of their gowns in our tiny, 1000 sq ft store! Who knew?! This year we connected with many local artists and wedding professionals to work on some stunning photo shoots. In February, we shot a Rustic Gatsby inspired shoot at Wilderness Ridge. We were lucky to have this shoot picked up by a national bridal blog, Wedding Chicks. Check out the blog here! 1. Winning The Knot’s 2015 Best of Weddings award! We are the little guy and always will be. It has been such an honor to be recognized by our hard work and dedication by brides and other professionals in the wedding industry. As a Best of Weddings recipient, we are ranked in the top 2% of bridal stores in the nation! Thank you for your continued support!